This is the sixth segment in a series of posts entitled, “Collection Glimpses.” Each post in the series focuses on a unique collection, innovative repository, or a not well known cultural heritage institution. The Manitoba Museum is the largest heritage and science centre in Manitoba. 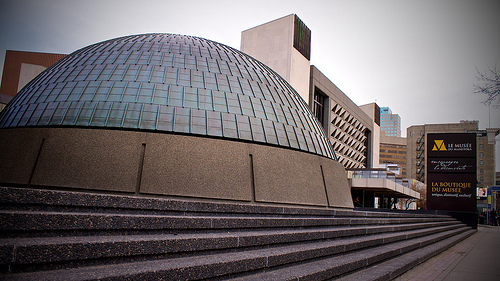 Founder in 1965, the Museum’s collections highlight the heritage of the region, while the planetarium and science centre focus on hands-on learning. The most unique thing about the Manitoba Museum is perhaps its emphasis on 3D walk through galleries within a museum setting. Unlike most museum settings which are two-dimensional spaces, three-deminsional galleries provide a feeling of immersion in a setting. 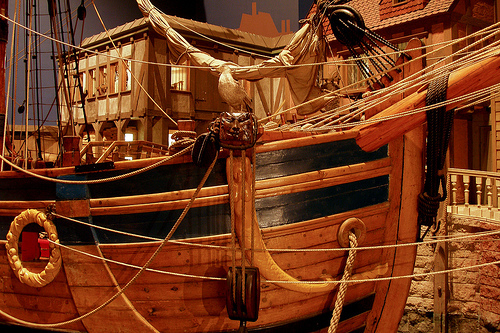 Some of the Museum’s notable 3D galleries include: Nonsuch, a full-size 17th century sailing vessel, the Urban Gallery, which takes you back in time to Winnipeg during the 1920′s, and the Ancient Seas exhibit, which includes three screen animation of what the sea was like in Manitoba years ago. Ancient Seas was featured in the March/April issue of Muse. The Manitoba Museum also has a number of innovative fundraising programs. The Museum`s Adopt an Artefact program, an idea similar to the WWF`s adopt an endangered animal program, allows donors to symbolically adopt an artefact of their choice. The Adopt an Artefact helps make donations a bit more tangible to donors and is allows non-display artefacts to be brought to the attention of donors. Other fundraising initiatives allow donors to donate to a special project. These projects may include preservation work on a large exhibit, development of an interactive exhibit, or outreach programming. Similar to the adoption program, special project fundraising helps people visualize and identify what they are donating to. The Museum`s website provides a great overview of the organization`s educational programs and galleries. Additionally, the museum has digitized part of its collection and made it available via a searchable database. Each item in the database includes a picture and basic descriptive identifiers. The collection photographs are a great resource, however I wish more contextual and historical information was available about the collections.